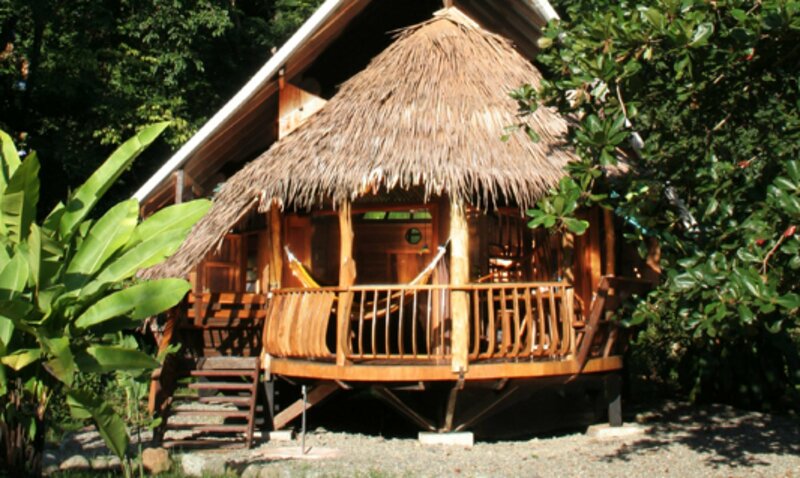 The Tree House Lodge is not just an “ECO-LODGE” developed close to nature…we are in fact part of nature. The CST was designed to differentiate businesses of the tourism sector, that comply with a sustainable model of natural, cultural and social resource management. We have developed our houses with a mind set focused on preventing impact to the environment as well as integration with it. As an example the Tree House has been entirely built of sustainable woods. All the hard woods used on the Tree House were obtained out of fallen trees. We did not cut any alive tree to build the Tree House. Most of the woods used on the Tree House are Nispero Manilkara chicle and Casha Pithecellobium idiopodum. Both are hardwoods. Most of the time these trees we find very deep in the jungle. To get them out we cut them on location in the desired sizes. After that we pull the wood out with oxes. Many times it took several weeks to get our wood out of the jungle before we could build.